Photographs by Jacqueline Hassink. 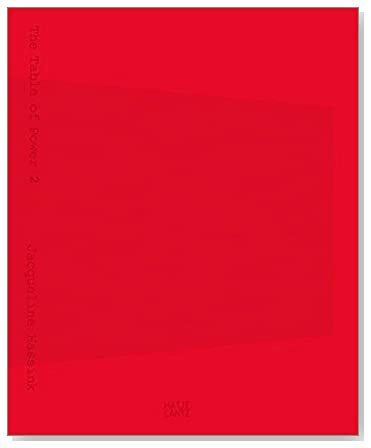 Texts by Michiel Goudswaard, Jacqueline Hassink, Annegret Pelz, & Jeroen van der Veer. Hatje Cantz, 2012. 240 pp., 80 illustrations, 60 in color, 10½x12½". The financial crisis of 2009 shook the global economy to its very foundations. Yet has anything changed at the centers of power since? Do executive suites look different than they used to? And what do they actually look like? 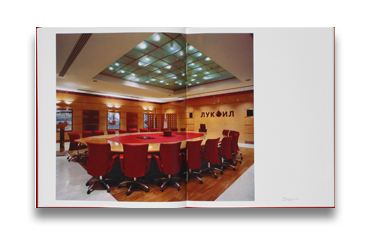 A decade ago, Jacqueline Hassink (*1966 in Enschede, the Netherlands) captured images of desks and conference room tables at what were at the time the largest multinational corporations in the world. Magnum photographer Martin Parr included her project in his catalogue of the most important photo books of the twentieth century. Today, the artist is taking another look at the headquarters of the approximately fifty companies that the American business magazine Fortune lists as the most powerful actors on the market: banks, insurance companies, and corporations such as Shell, BP, Volkswagen, and ING. With scientific precision, Hassink focuses on the desks and tables in deserted, soulless rooms—as if emptiness was one of the inherent features of power.